Why are we eating the same foods week in, week out? Food is so versatile! So why do we end up eating the same stuff on a regular basis? Not anymore - I hope. Writing down your weekly meal planner and a shopping list will help you to change your eating habits and encourage you to try new and exciting foods and recipes. 2.���� Give you the opportunity to sit down for 15 minutes a week and think what you and your family want to eat this week. Keep in mind, the food we eat will have an effect on our mood, memory, physical performance and many other functions. It’s not just a fuel…diesel! 3.���� Broaden your food horizons, you are creative – much more than you think- but we sometimes don’t dare ourselves enough to try new things! Challenge: Cook that meal you have been wanting to try for the last 6 months – you know which one? 4.���� Help us get the different vitamins and minerals from different foods we need – eating the same foods can potentially cause certain vitamin deficiency (iron, Vit C, magnesium etc). I know people who are on the same repeat Ocado order for the last 3 years! 5.���� Help you have a well-stocked fridge. Your weekly big shop (or two smaller) is so important because if you don’t have nothing much in your fridge – you cannot and will not make healthy decisions at 6.30 pm on Wednesday. How can you?! You will simply end up ordering takeaway, buy ready cooked meals, eat a sandwich - again, or you will reach for that packet of crisps/biscuits that you promised yourself you wouldn’t touch! I am sure you are not one of those people and now you never will be. 6.���� Help you eat healthy. Cooking healthy meals requires 30 minutes or less of your time. Less time than to go to local Tesco and buy a ready meal! 7.���� Help you to cook in batches, preparing meals the night before and over the weekends, preparing our own lunch boxes (back to school) does make sense. The majority of cooked foods can stay refrigerated for up to 2 days after cooking. Once food is cooked cool it down (leave it no more than 2 hours before) and put it to the fridge or freezer – if left longer than 2 hours bacteria might start developing. 8.���� Encourage you try those low carb alternatives: cauliflower and broccoli rice, butternut squash or courgette noodles, Slim Pasta and Lo Dough pizza base- those are some of the easy carb substitutes that taste good.� Please note: try to manage your expectation when trying new foods with less calories. ‘Slim Pasta’ has 60 calories per 200g serving, this is 5 x times less calories than your regular spaghetti serving which is 300 calories per 200 g. This is 240 calories difference, so it’s not really fair to expect exactly the same texture, flavour and get the identical feeling in your mouth! However, if you have a nice healthy sauce and nice salad with it – I promise you - you will enjoy it. 9.���� Help you spend less money. Statistics show that people who planned their weekly meals spend less money and consume less calories. Tesco local is more expensive 10-15% at times than the big store! 10.� Help you lose weight. From personal experience and experience with my clients – people who plan, shop and cook regularly (also keeping their food diaries) – are the ones who lose and maintain they weight successfully through life. Coaching is not something bizarre where someone messes with your brain, telling you what you need to say or do. Coaching is actually about helping you to get from where you are now to where you want to be, much quicker and more effectively than if you were working alone. 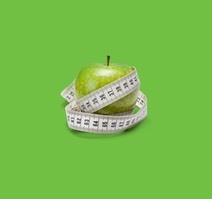 Coaching works for any area of our lives, but it’s particularly effective when it comes to nutrition and weight loss. All of us humans are very resourceful creatures but we just don’t pay attention to ourselves enough these days. We are too busy! But coaching – talking to someone who will listen and guide you through the maze of potential is a brilliant way to get what you want – quicker. I would like to give you the framework of the G.R.O.W model (G- Goal, R-Reality, O-Options, W-Will/Way Forward) so that you can try it yourself. �The G.R.O.W model is one of the greatest coaching tools to help you realise your own true goals and come up with options to get you there. Also, the G.R.O.W model will help you to take ownership and commit to your goals. Try it for size and see how it fits you. It’s a great mental exercise to juggle and intrigue your mind. See what happens. •	What do you I want? What do I really, really want? •	How will achieving it benefit me? •	What have I done specifically to achieve my goal so far? •	What abilities or strengths do I already have which may help? Use these resources. You have more than you think you have. i.e. I want to lose weight. I know I can do it, as I lost a lot of weight in the past - so I can do it again, but slightly differently this time. •	What else…? What else…? •	How will you commit? �To your reflection in the mirror, through a post on Facebook? •	When will you take action? Now? Tonight? 2. Write all of it down on paper. Those who write their goals down have significantly greater results. Talking from personal experience here. 1. Pandoras box. �Please, Please the first thing you really must do when starting out on any get fit goals or simple trying to trim up for that special occasion. CLEAR YOUR CUPBOARDS! of most of your temptation foods (you know what food I mean)! �By throwing out (giving it away) you are making a commitment to yourself to make a change. 2. Keep busy. I think the nail is smacked on the head when you find yourself too busy to think about food. Sometimes we confuse hunger with boredom, and we often eat mindlessly when bored - I know I did! �Go for a quick walk around the block, or if it’s too cold put on your favorite dance song (Eye of the Tiger works for me each time!). 5. Sugar rush!? �Sugar cravings are a big issue when trying to be healthier. When craving hits - try taking chromium tablets. �Studies have shown that chromium can normalize blood sugar levels, improve blood sugar utilisation and decrease the bodies insulin requirements. Chromium can help people with a sweet tooth to. 7. Lemon aids. �Water with lemon helps with food digestion and aids weight loss. Warm water with lemon, fresh ginger and honey is the best thing to have first thing in the morning, ideally on empty stomach. This concoction is detoxifying and it will increase your metabolic rate. 9. Warm yourself up on a cold night, with soup. Soups (any of them) contain a large amount of water and will fill up your stomach, which sends the message to your brain that you are full! Soups are brilliant if your goal is to be healthier. 12. Be a super hero. �Eat plenty of proteins; chicken, fish, eggs and cottage cheese. Your body doesn’t store proteins in the same way as carbs, therefore no excess calories will be stored in your body. Proteins also fill you up for longer and build up your muscles. 14. Give your food your full attention. �Focus on your food and eat slowly at meal times - chew every mouthful at least 20 times. The brain takes 15 minutes to get the message that your stomach is full. So, if you eat too quickly, your stomach will fill up before your brain knows you're full and you’ll end up eating too much. See what you can do at your next meal? Don’t eat while watching TV or on the phone, you have no idea what you are putting in your mouth. 16. Cook big, make spare! Cooking in larger batches will save you time. Also, if we have healthy food in the fridge or freezer, we are much less likely to eat junk food. Cooked food can usually stay in the fridge for two or three days. Let the food cool to room temperature for two hours before refrigerating - if left longer bacteria might start to grow. If you don't think you'll eat leftovers within three days, freeze them immediately. 17. Prepare your work lunch box the night before. It’s the easiest and cheapest way to eat well. You are in control! Shop meal deals can be good also. But choose wisely, salad lunch with quinoa, chicken, salad and veg are fab. However, the sauce that usually comes with it has loads of calories! Advice: do not be afraid to cut that sauce in half, the lunch will still taste great and you’ll cut hundreds of calories off! 18. Have a healthy relationship with food. 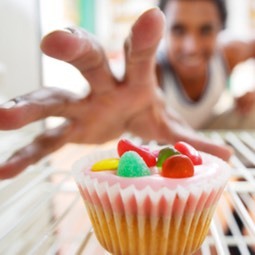 Don't try to deny yourself the foods you enjoy or feel bad if you occasionally succumb to temptation. For example, if you say to yourself ‘’I will never eat chocolate again!’’. Your brain will think ‘’Eat that chocolate now!’’. It’s same as saying a child ‘’Do not run!’’, what they actually hear is run. Unfortunately, our brain does not hear the word ‘’NOT’’ very well at all! So, have a bit of your favorite chocolate. Few squares will actually satisfy your needs and make you feel better. You’ll stay on your daily calorie target and most importantly you won’t feel guilty! 19. A picture tells a thousand words. Every time you eat or drink unhealthy take a photo and post it on your Facebook or other social media, or if you prefer every time you eat something healthy post it there. A printed picture on your fridge works similarly! This shows your accountability to the cause. 20. Eating is a social thing - so involve someone close to you (your bestie or member of your family) on the journey. It’s much more fun that way. 21. Change the way you think about food. If we do not change the way we do things (eating in this case), we will be getting the same results we always have! Food is your good friend. We would die without food. Fact! Again, moderation and healthy food choices are your best allies here! �Studies have shown that people who successfully lost weight and maintained their ideal weight are the same people who learnt how to change both their eating habits and their attitude towards food. �Your time is here and now. Enjoy your journey of change. If you get stuck - No worries, I am here to help you. 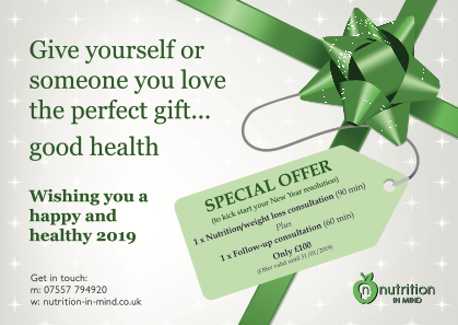 Keen to lose weight for the Christmas party season? A well-known saying, right? But what does it mean? Our gut instinct is very powerful innate feeling that has been developing throughout thousands of years of evolution. �But for some reason we stop listening to it! What to do? • feeling hungry – don’t just go and grab a crisp or chocolate especially if eaten one hour ago! Lot of us eat out of boredom or because of stress or just out of habit rather than from true hunger. Consider asking yourself the following questions before grabbing a snack: Am I hungry? Am I tired? Am I thirsty? Am I sad? Am I bored? Is eating the only answer? •�had a big dinner at the party last night. You don’t feel that hungry in the morning. Skip the breakfast. It’s ok. This way you will balance out calorie excess and lunch will taste much better. •�we are so scared if our tummy rumbles these days – but actually scientists found out that when our tummy rumbles our body is switching from burning carbs (glucose) into burn fat! �Now, I am not necessarily encouraging tummy rumbling here, but just want to say it’s not bad thing and from time to time let it rumble. 2. Do not eat late! 4. Eat three nutritious meals a day and eat it Big! Too often I find with my clients, they are simply eating too little at actual meal times and end up snacking shortly after! It’s contra productive, in most of the cases. OK, bowl of Spag Bol should be around 400g serving (~550 calories) and adding a side salad will bulk it up (please click here to see my Spaghetti Bolognese recipe). What is not recommended is a second or third helping or smothering in Parmesan! •�dumbbells, kettlebells, exercise ball, exercise bike. Most of us already have those somewhere in the house, under the bed possibly – use it! Start with only 5 min! •�any, and I mean any form of faster movement or good stretching first thing in the morning will make huge difference to your body and mind. Try this; put the radio on and dance to your favourite song while the kids are having porridge…it’s fun. Your kids might get a bit confused for the first time, but they will get used to it. Recently I started doing ‘Sun salutation’ set of yoga poses 3 minutes every morning – honestly such a huge difference in energy and it simply reshapes my day. And I do this straight after getting up and before leaving my bedroom…if I leave the bedroom there is a chance, I might not come back to do it!? •�walk! �Simple, cheap and easiest way. We tend to forget this one because it’s so simple. But simple ones are usually the best ones. Angelika is a nutritional therapist and weight loss coach. She is a great believer in Intermittent Fasting (The 5:2 Diet) and Detoxing as a form of staying fitter and living a healthier life. She practices what she preaches as well as recommending it to her clients for over a decade. She has a Masters in nutrition and is a qualified NLP practitioner. She combines nutritional science with motivational NLP (Neuro Linguistic Programming) coaching to change bad habits and introduce new good ones that will serve you better. She is passionate about food and posts her food recipes on social media regularly. �She also recognises the importance of behavioural changes which are paramount in successful weight loss. Angelika has given radio interviews and written articles on intermittent fasting as a form of food reduction (the majority of us, simply eat too much!) and in 2016 worked with her local council on a healthy eating on a budget project. She has worked in the health industry since 2007 working as a nutritional adviser for Planet Organic and General Nutrition Centre (GNC) as well as running her own private practice. 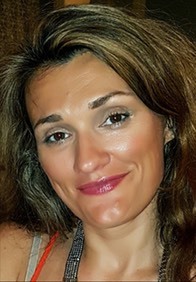 She is a full member of the British Association for Nutrition and Lifestyle Medicine (BANT) and registered with the Complementary and Natural Healthcare Council (CNHC), she gives advice you can trust.